From launching menswear and a charity initiative to new shop locations, this French cult favorite is going global. 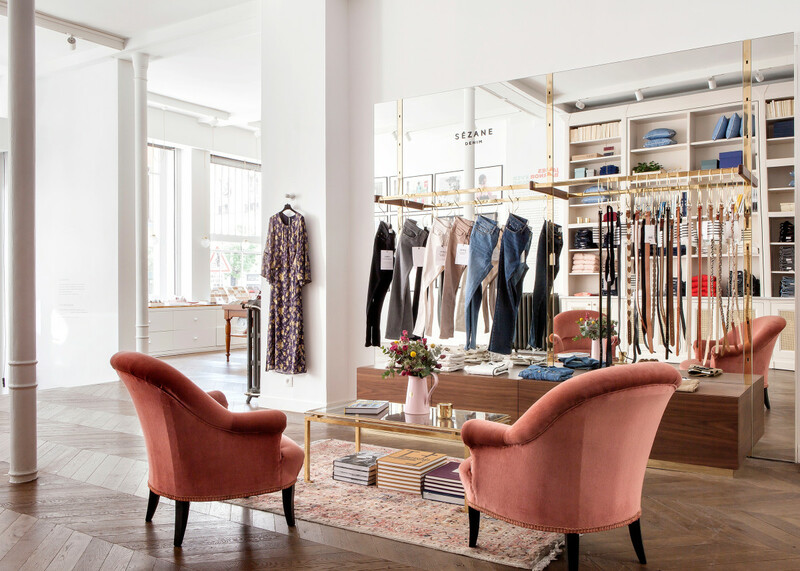 When French fashion brand Sézane releases its new collections each month, hundreds of women line up outside the Parisian boutique (aptly called L&apos;Appartement, with a built-in cinema and café) to shop the new pieces. To wit: One of the line&apos;s cardigans, called the Barry Jumper, reportedly had a 30,000 person waiting list in November 2017. The simple cardigan, which can be worn with the buttons at either the front or the back, retails for $120 — and, at this very moment, most of the sizes and colorways are still out of stock. But where did this brand come from, and more importantly, why are people so obsessed? The DNA of the cult-status brand stems from the founder Morgane Sezalory&apos;s past as a vintage lover. 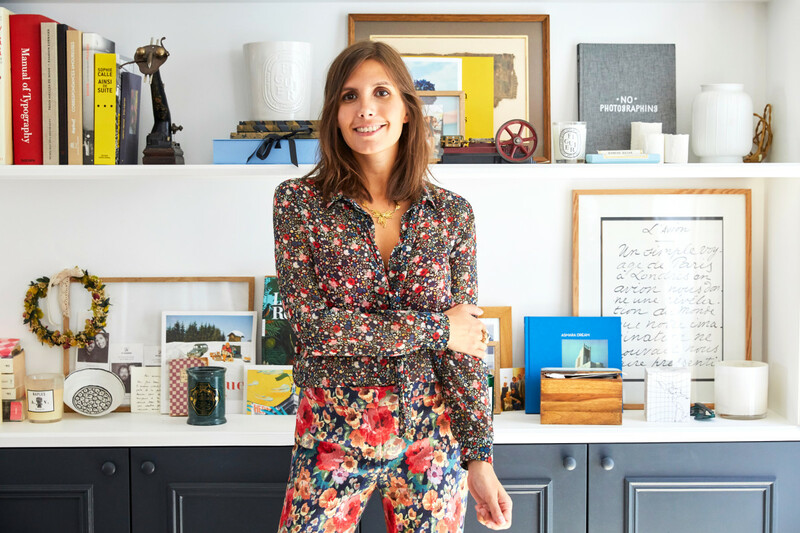 Before launching Sézane, she made a living selling vintage clothing on eBay, tweaking some of her best finds ever so slightly. While she uploaded pieces in spurts, everything would sell out instantly, prompting her to created a platform called Les Composantes in 2008. Each month, much like Sézane, unique pieces were released. "We don&apos;t invent much today anymore," she says. Many of Sézane&apos;s best selling items, like the Barry Jumper or some of the bohemian dresses, are not authentically vintage, but do seem to take inspiration from a vintage aesthetic. "It&apos;s amazing how inspiring it is and I think it&apos;s very important to take the best from the past and make it modern." 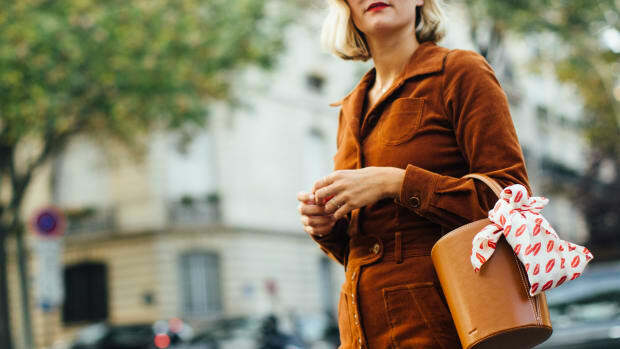 When Sézane launched in France in 2013, with a model based off Sezalory&apos;s experience selling on eBay and Les Composantes, it called itself the first only-online French brand. The excitement of getting limited edition pieces was still a huge part of it; Sézane’s initial launches were released in small batches. Only recently did the label add "La Liste," a permanent collection of clothing, bags and shoes that are replenished throughout the season as they sell out, like different variations of "Babies" heels (a low, thick French girl style shoe in patent leathers) or the aforementioned Barry jumper with a cult following. "Every day, you want to have the perfect white shirt, or the perfect pair of jeans, and each girl will make them look different," she says of the permanent line. "Sézane is big here, so we have to be careful – we don&apos;t want to all be the same." What keeps a piece from being added to the permanent collection, though, is less definable for Sezalory. "If I decide to do a yellow coat, I&apos;m not sure every woman will want it, and at the same time, I don&apos;t want every woman to want it," she says, "So, actually it&apos;s very obvious which pieces should be limited edition." Sézane makes extremely limited batches of some of the rarest items; think 150 to 300 pieces, and then they&apos;re gone for good. On the rare occasion limited edition pieces don&apos;t sell out completely, the brand has archive sales online at the end of each season. The following behind Sézane&apos;s limited edition pieces and the success of its permanent line inspired the label to launch a separate menswear line online last year. Dubbed Octobre Editions, the line is partly inspired by the same vintage and French influences of Sézane. "It&apos;s so hard for men to find the pieces for everyday life," says Sezalory, thinking of her business partners and husband in particular. She describes it as, "French pieces, but basics — beautiful basics." 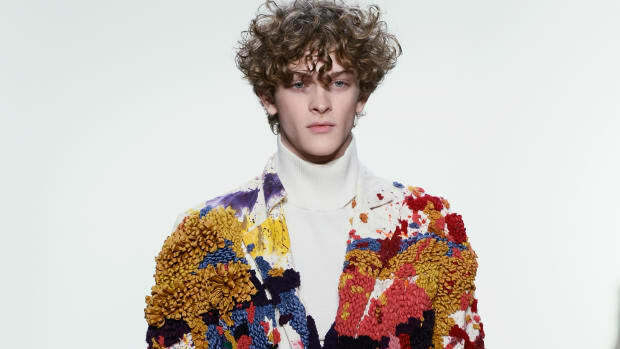 Menswear is set to be a new major category for the brand; according to Sezalory, she hopes to have it available in the New York City store as early as next season, and there&apos;s also a plan in the works to have a boutique dedicated to Octobre Editions right next to the New York City Sézane flagship. All of her success has prompted Sezalory to want to give back through a charity project. Last year, the brand sold a t-shirt that raised more than 150,000€ for UN Women. This month, a new initiative began in partnership with the Paris based children&apos;s charity La Voix de L&apos;Enfant. On the 21st of each month going forward, the brand will release a new limited edition item, of which 10% of proceeds will go towards the charity. Sézane is calling the project "Demain," which means tomorrow in French. 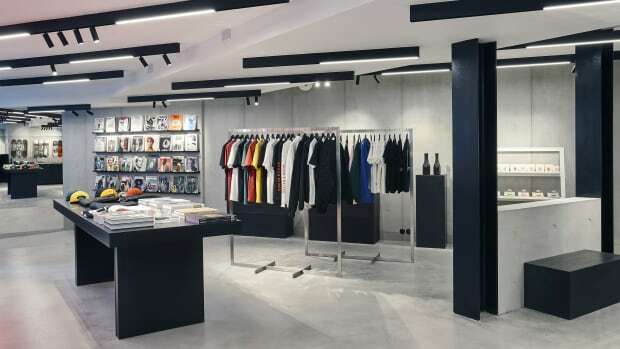 In March 2018, a shop with the same concept behind it will offer used pieces, prototypes and samples from the brand with a charitable component. According to Sezalory, she&apos;s looking to partner with a U.S. charity for a similar shop in New York. "Sézane now has a big community here," she says. "We are in the media here, so we have a duty to do a big project all together with our customers and us, and I think that it&apos;s important that everyone in the world realizes that we all need to do it together — helping to make the world better." Up next? A slightly more luxury line with a focus on more prestigious fabrics, tentatively planned to launch in April, in addition to a new Sézane store in L.A. planned for fall 2018. Even with all that going on, at the end of the day, Sezalory is adamant that above all else, Sézane is a lifestyle brand over a fashion brand. 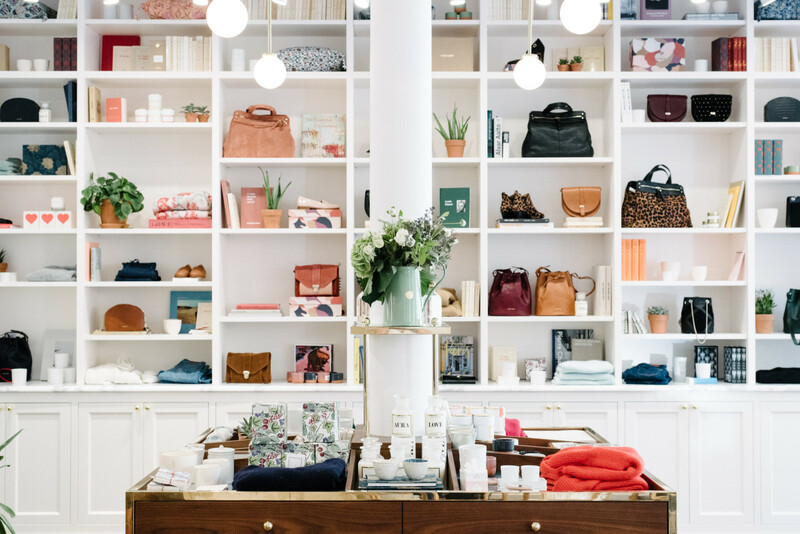 "It has a lot of life; it&apos;s a lifestyle brand and it&apos;s not only about fashion," she says. This, of course, applies to everything from the packaging that comes with each online Sézane order (typically, a pretty, well-made tote in a signature print) to the lifestyle accessories sold in stores, such a notepads and coffee mugs. The brand has also already produced two lifestyle capsule collections of its own lifestyle objects, with another one set to release in April. "We want to show how charming and smart and beautiful a woman is — not only because she has a good pair of shoes but also because of what she likes to read, the colors she loves and what she&apos;s inspired by," Sezalory says. 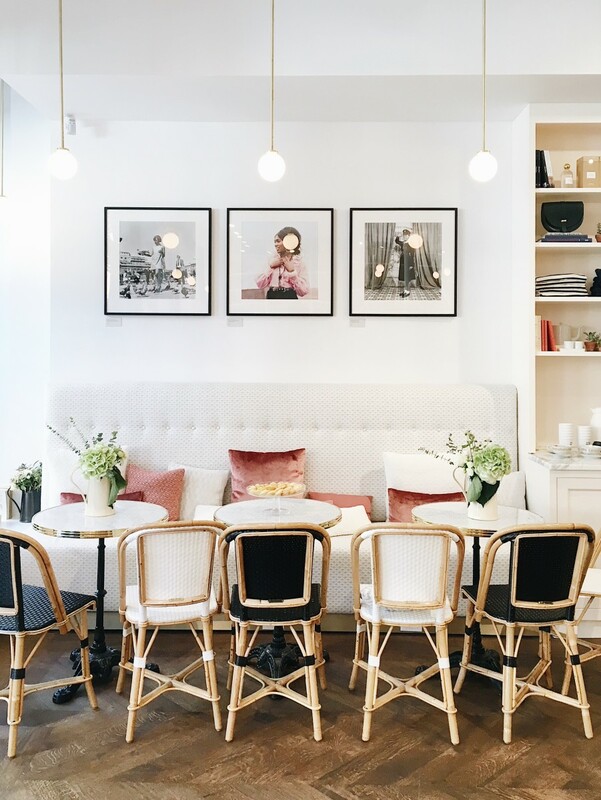 From the best vintage to the coolest concept shops, make sure to stop by these spots on your next trip to the City of Lights. "We aim to be at the cross roads of street culture, art, design, fashion, luxury and creativity." If the show weren't publicized as a student show, you certainly wouldn't have known it. Why Is No One Talking About This Secret Parisian Haute Jewelry School? 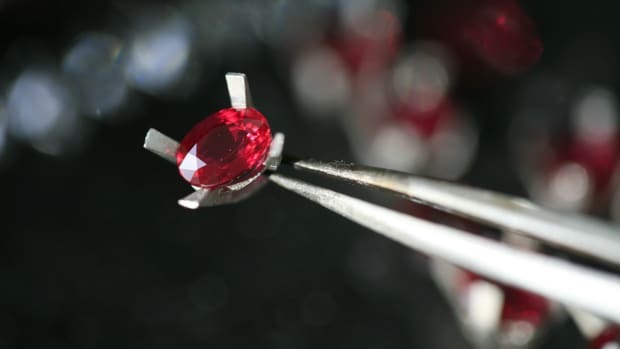 L'Ecole Van Cleef & Arpels is sharing the art of fine jewelry with the general public.